If you read here regularly, you may have noticed me railing against labels. 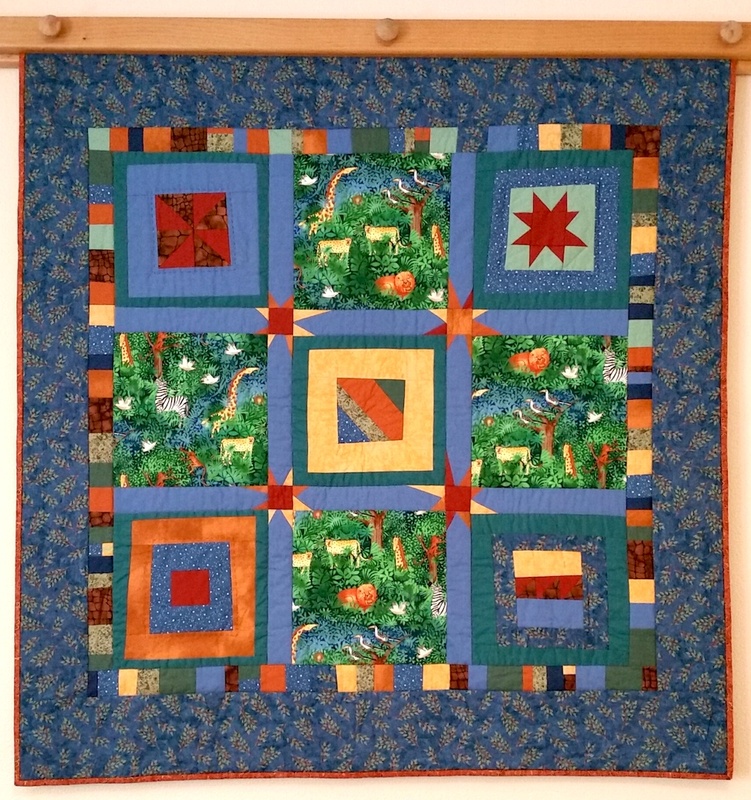 I’ve condemned the notion of “modern” medallions and objected some to “liberated” quilting. If you get me started on “traditional” quilting, believe me I can object to that label, as well. Are we talking about the tradition of using quilted material as body armor in the Middle Ages? Or as petticoats? Or wall-hangings to buffer the stone walls from the cold wisps of winter? Maybe those aren’t the traditions people mean by that term. One of my main objections is that the labels are artificial. In particular, it’s hard to find meaning in the term “modern quilt” when even modern quilters don’t agree what it means. For some it is in the colors or patterns used; for others it’s in the amount of negative space; still others point to the creation of new blocks. For me, personally, modern quilting is that which breaks the grid. But even that is a poor conception, when we look at crazy quilts from the 1880s and wonder where the grid went in those. So what’s my problem with labels, other than that they do not mean what some people think they mean? Labels are a natural result of how humans’ brains work. 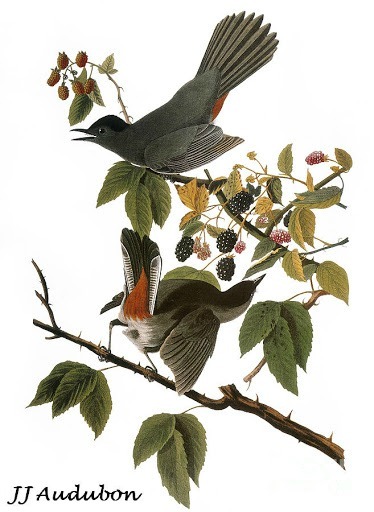 Humans categorize and label almost everything, from food to animals to style of house to species of tree. Even poor Pluto has been classified a planet and reclassified as a dwarf planet. Astronomers continue to debate the right way to label it. We want to separate things by type in order to make sense of them. It’s like having an index card file — only if the thing is labeled correctly can you find that card again, and relate it to other things appropriately. Labels are natural, but labels can affect how you see yourself and how you fulfill that vision, both for good and for bad. They affect other people’s expectations of you, too. What label did you have growing up? If you had siblings, you may have each had labels. I was “the baby,” setting expectations for how competent I was (or not) in a variety of ways. There was a day not so long ago when I first called myself a “designer.” Though I have always designed my own quilts, never before had I thought of myself as a designer. Surely that was someone who had studied art or … maybe even design! No. Just as a writer is someone who writes, a designer is someone who designs. But simply relabeling myself in a more expansive way changed the way I think of myself and my quilts. If we label ourselves in confining ways, that has an impact, too. How many times have you told someone you are “just” something — just a mom, just an accountant, just a volunteer? I have a friend who used to say “I am just a plumber.” He does not say that anymore, at least around me. After being scolded more than a couple of times, being reminded of all the things he is and does, he does not say that anymore. He seems to have a more expansive view of himself than he used to. Having that broader view feeds his willingness to try even more. 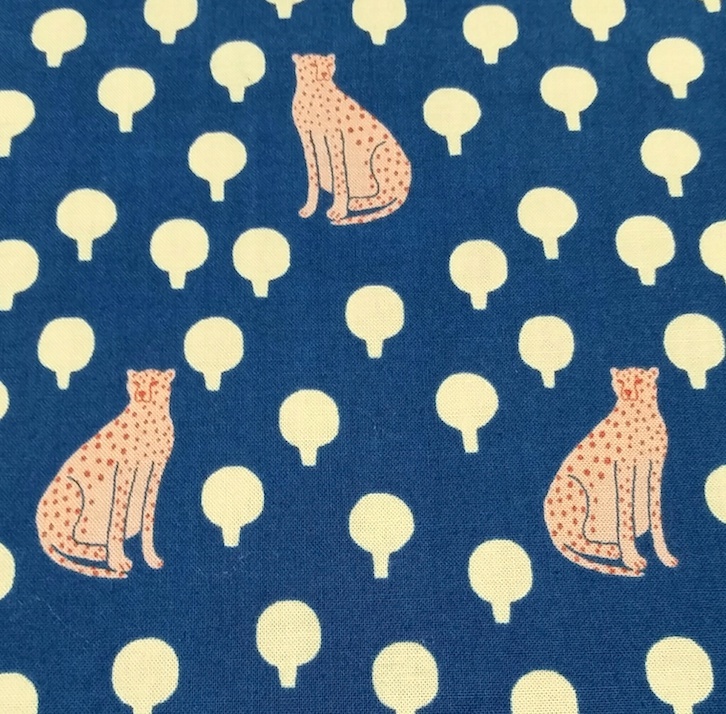 If you call yourself a traditional quilter, does that mean you can’t try a different approach? If you think of yourself as a modern quilter, are you willing to try using historical blocks and formats? If I am a medallion quilter, does that mean I only make medallion quilts? In my case, I will say “no.” I reject that notion. I am a medallion quilter and I have expertise in medallions. But I am not afraid to try new things. Here is the punchline: I am not afraid. I choose not to be afraid. I choose not to let labels limit my work by format or style. Recently at a family party, I mentioned that I want to try skydiving. And zip-lining. And rock climbing… Someone asked me if that is my mid-life crisis. No. I’ve had my mid-life crisis, and it was the scariest thing I’ll ever go through. None of these things could be as frightening as that. As compared to that, how scary is it to try a “modern” quilt when I’m not used to working that way? Honest to pete, what’s the worst that could happen? I learn something from it? Why let labels define me, box me in, determine what I will or will not do? Labels don’t get to decide. I do. I get to decide, and I am not afraid. 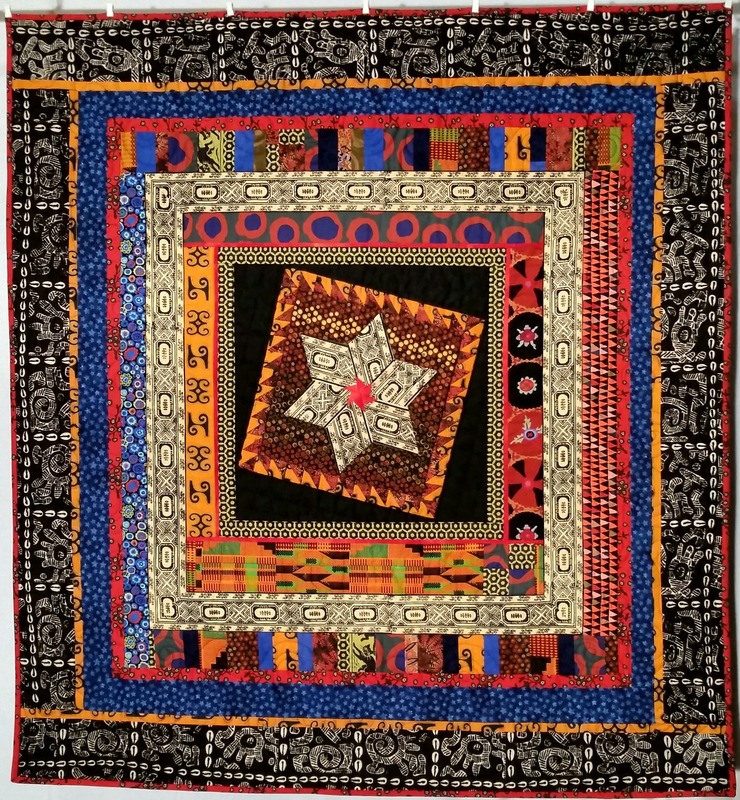 This entry was posted in Personal, Quilting and tagged Fear, Labels, liberated quilting, modern quilting, Power, Traditional quilting on June 21, 2015 by Melanie McNeil. This morning Jim and I cleaned a room, the room our son refers to as mine. When we moved to this house, my room was intended as a guest room, as well as for my sewing and crafts. It is again the guest room, but it no longer holds my studio. Now the family room and his room hold my long-arm machine, domestic machine, and all my quilting supplies. His room is no longer his, though he won’t officially recognize its change in status. The room we cleaned this morning has Son’s remaining belongings, a bed and a dresser. One of the other remnants of his life with us hangs on the wall. It is a small quilt I made for him, what I call his baby quilt. In fact, I made it when he was 20, a few short years ago. His life has changed dramatically since I made this, going from college student to Air Force pilot, from Iowa to the Pacific Northwest, from in love to engaged. My life has changed, too, as has my quilting. When I made this quilt, I wanted to try new things. I had a Gwen Marston book (the first of the several I now own) and wanted to try the “liberated” style. I did not love the process of making the quilt. It did not feel “free” to me but both chaotic and contrived. My evolution in quilting makes this more comfortable now than it was then. Last summer I finished a quilt that uses some of the same liberated approach. Truly liberated quilting need not be “anything goes.” Nor does it need to include contrived, even patterned (or paper pieced!) “wonky” stars. Liberated quilting at its best is mindful quilting. Rather than mindlessly following someone else’s pattern and rules, we can make decisions thoughtfully. We can follow recognized design principles to break the rules. We can create for ourselves. Sometimes that means perfect points and evenly spaced blocks. Sometimes it does not. We are liberated when we choose for ourselves. 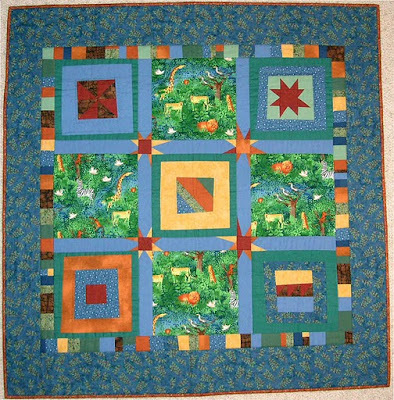 This entry was posted in Personal, Quilting and tagged Baby quilts, family, liberated quilting, Mindful quilting, Power on June 20, 2015 by Melanie McNeil.